Erdschwalbe Chocolat Cake. Gluten-free. Reduced carbohydrate content. Baking mix 160g-bag. Organic - EG-Öko-cert. 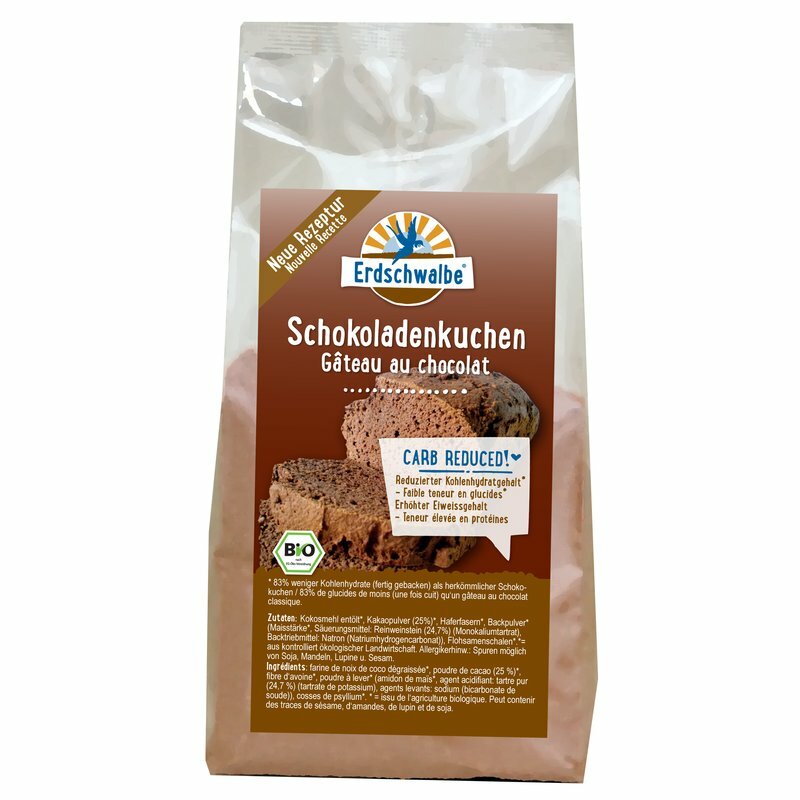 Erdschwalbe Chocolat Cake Gluten-free - Fine variable organic baking mix. 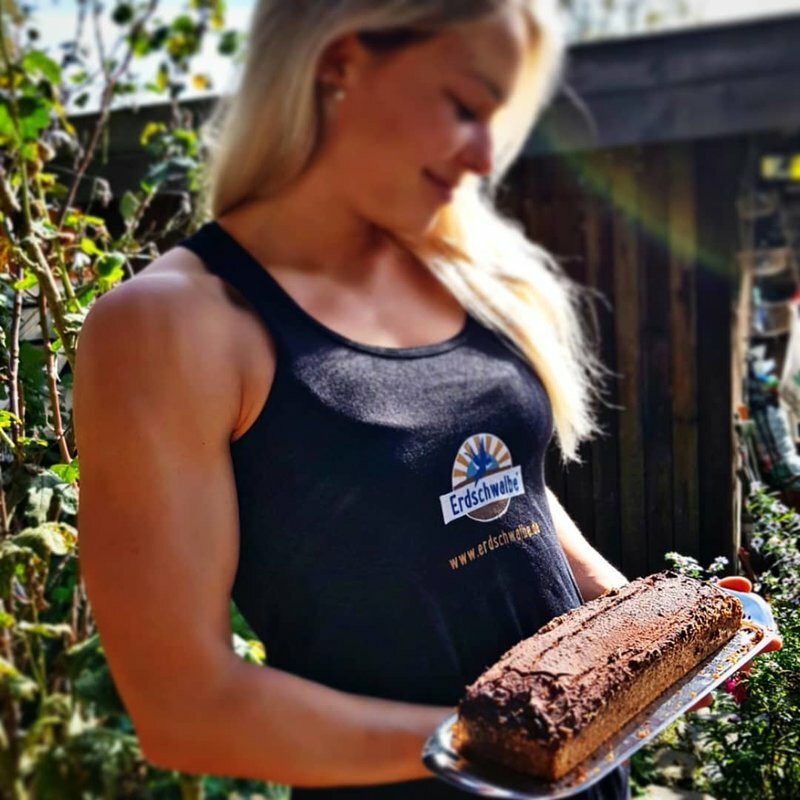 Reduced carbohydrate content - 83% less carbohydrates (ready baked) than a conventional chocolat cake. 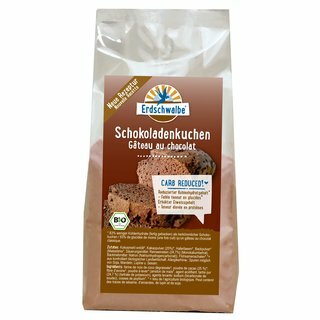 Ingredients: Coconut flour deoiled*, Cacao powder (25%)*, pea fiber*, Baking powder*, Psyllium Husks*. *= from certified organic agriculture. Note for allergy sensitive people: may contain traces of sesame and soy. 3 eggs, 300ml of milk, 90g of vegetable oil, sweetener (e.g. liquid sweetener) equivalent of approx. 120g of sugar. Mix the the eggs, the milk, the melted butter and the sweetener with the baking mix for 2 minutes using the mixer. Pour the batter into a well greased baking pan and bake in a preheated oven at 180°C for about 40 minutes. When using Erythritol as sweetener, bake at 170°C for about 55 minutes.